We did it! With over 3000 signatures, the state was convinced to allow SFBI to remain open while the license renewal application is being processed. Thank you so much for all your support – it made the difference! You can go to the petition site to read the thank you note from SFBI director Michel Suas. Thank you again from me, and from SFBI. You’ve helped keep a great pastry school up and running! I was working on my next post when I received this message from SFBI, one of the pastry schools in the Bay Area that I have attended and highly recommend. It appears SFBI has been in the process of renewing its license to operate, but is being held up by red tape. The state of California is forcing SFBI to cease operations until the review process is complete – a move that could shutter SFBI permanently. I think SFBI is a wonderful and invaluable institution in the Bay Area – the instructors there are talented and knowledgeable, and classes fantastic. I’ve written glowingly about my experience there, and it is one of the two places I recommend to people when they write to me about advice on pastry school. I’m hoping that you, as fellow bakers and lovers of pastry, can help out by signing this petition to allow SFBI to continue to operate while their application is under review. It would be a huge loss to the Bay Area and to pastry students if this school were to shut down permanently. See below the letter from the staff of SFBI asking for help, and sign the petition by December 31st to show your support. If you read the comments on the petition page, you’ll see just how beloved SFBI is and how much they’ve done to teach aspiring bakers about the art of pastry. And spread the word if you can! Thanks for your support! 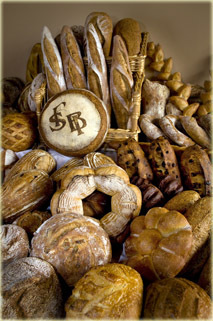 Make saving SFBI one of the last things you do to show your love of pastry before this year ends! the BPPE to allow us to remain open while our application is pending review. you from around the country and globe. already reached out to us in the last 24 hours since receiving the news. Thanks so much for your help Kaya! Congratulations, Anita! I went to sign the petition but you’ve already got 3,000 plus signatures. Good going!